Ok, I have a confession to make. I am a competitive person. I want to make something that will have my guests RAVING. When I show up at holiday parties, I want everyone excited about my dish. I want to create a flavor explosion in their mouths, one they will never forget. This Cream Cheese Dip is perfect with crackers, pretzels, and cookies! I dream of praise and people seeking my amazing recipes. But one thing I learned a long time ago is that I am a people pleaser. It makes me happy when I please others. 🙂 So I like to do that through cooking. If you’re anything like me, then you will search high and low for something that will have people talking. I want them asking me for the recipe before the party is over. I want an empty bowl to bring back home. This dip disappears fast at all of the parties! If that sounds remotely like you, then you’ll want to share a fantastic cream cheese dip recipe like this one! 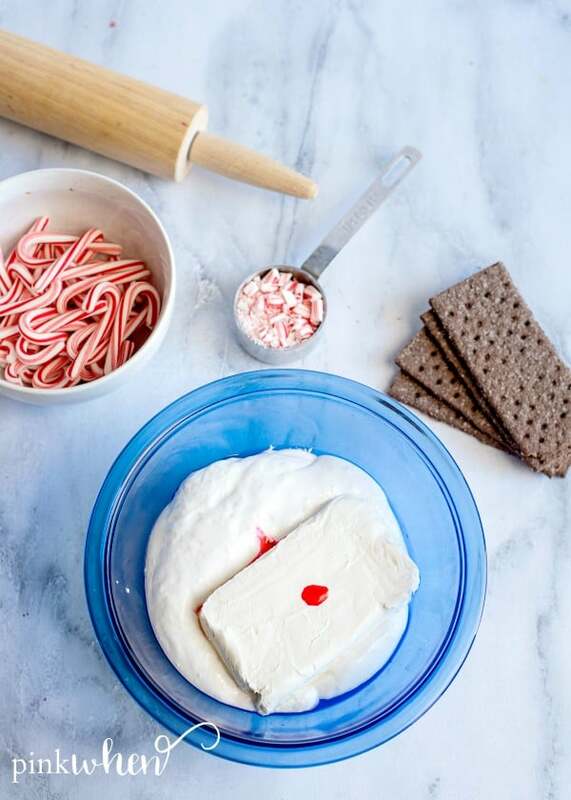 Here is what you will need for this cream cheese dip for the holidays. crackers, pretzels, cookies, etc. for the dip. them into small pieces. You can do this with a rolling pin. 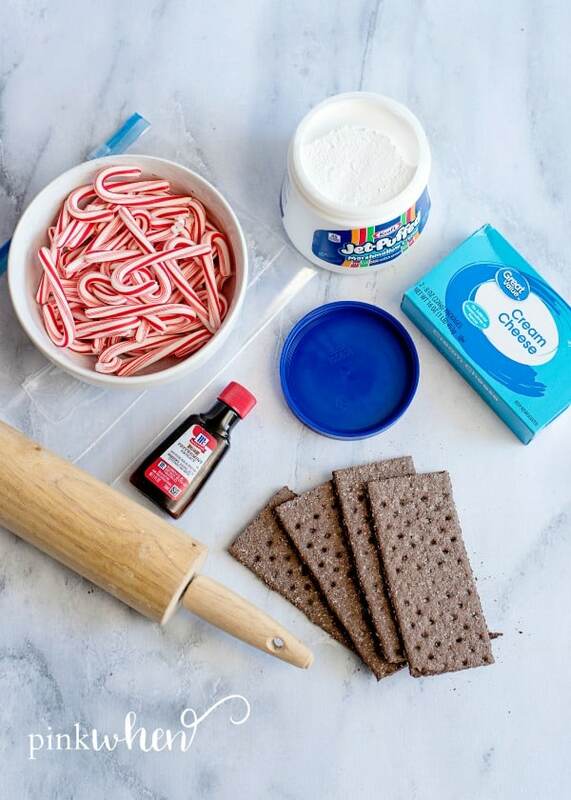 Crush any full-sized candy canes with a rolling pin. of food coloring. Mix the ingredients until well combined. 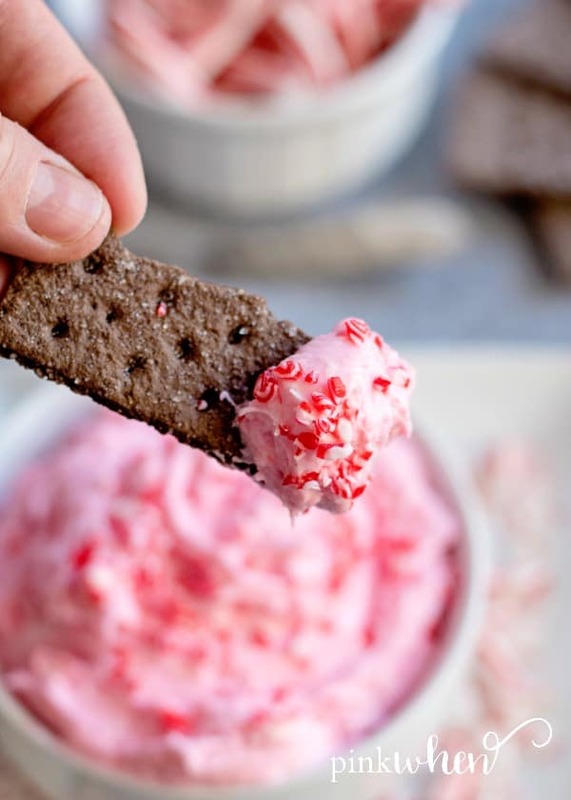 Mix fluff, cream cheese, and food coloring together. 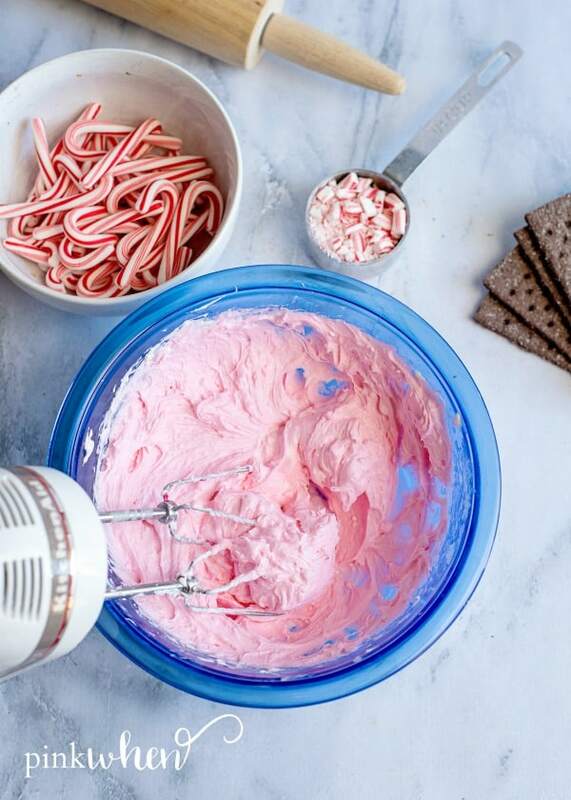 3: Toss in the crushed candy canes and mix until combined into the dip. Mix all of the ingredients easier with a hand mixer. 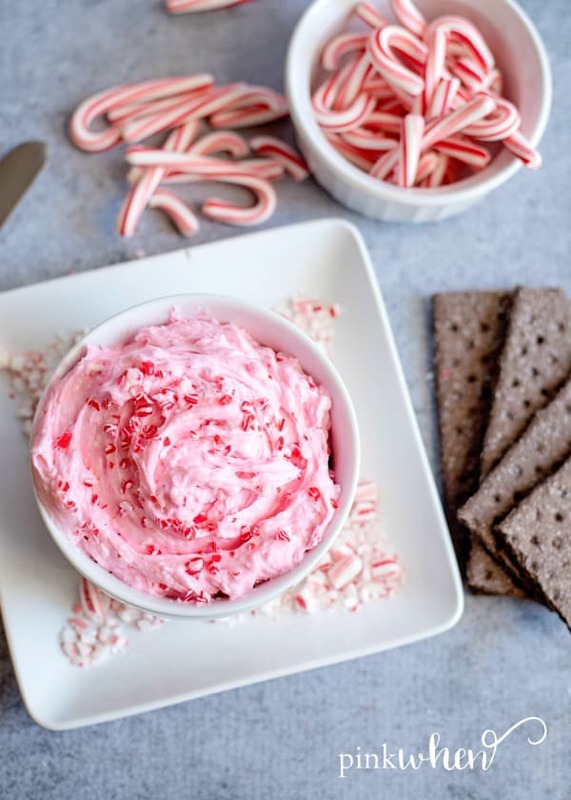 4: Scoop the dip into a bowl and top with some extra candy canes for presentation. 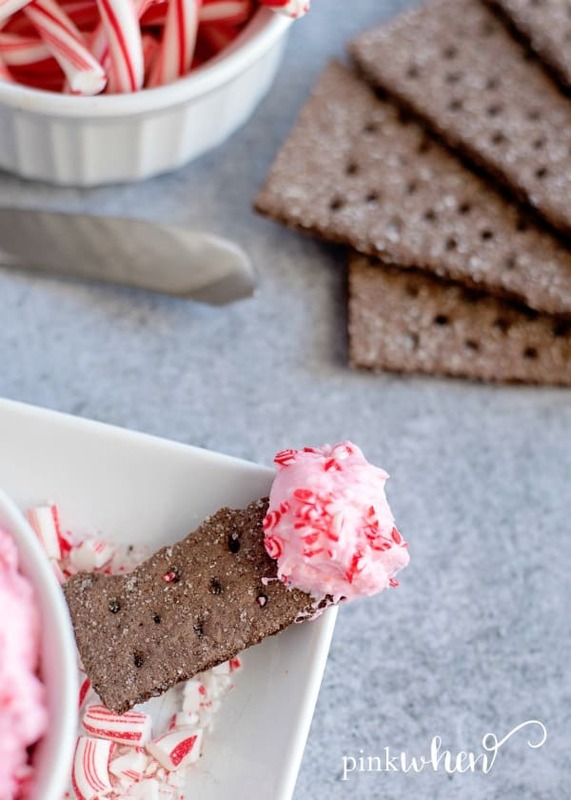 Serve with chocolate graham crackers, pretzels, or cookies. 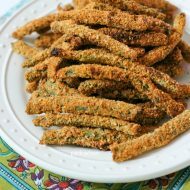 Be prepared to have your taste buds explode! 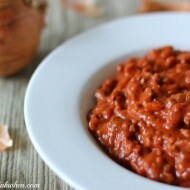 This is such a great recipe and one that will make your holiday parties unforgetful. 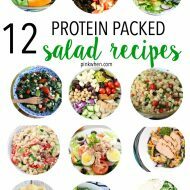 Need more dip recipes? 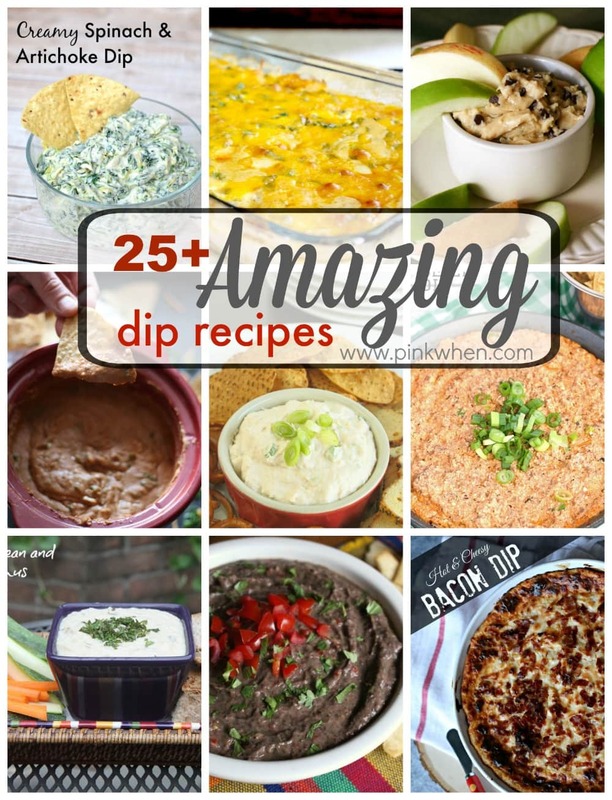 Check out this great list of over 25 Amazing Dip Recipes. 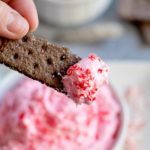 How to make the most delicious cream cheese dip recipe for the holidays! 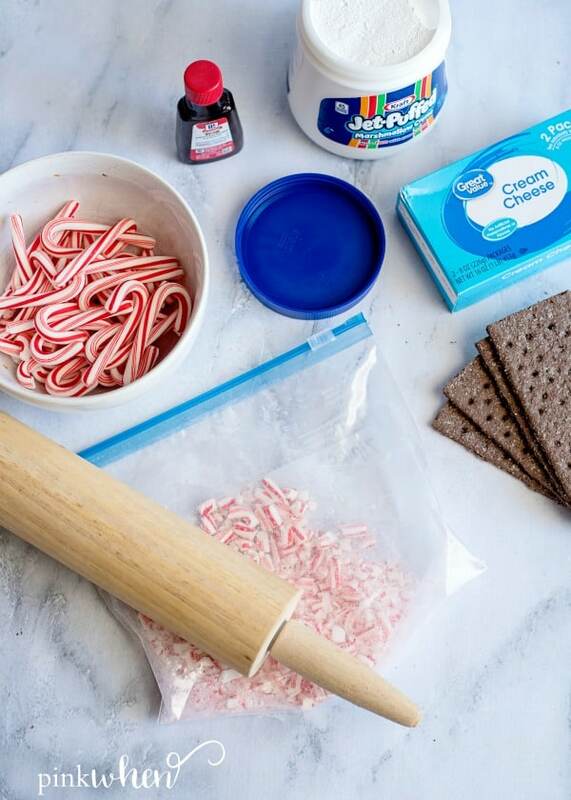 If you are starting with full-size candy canes, add them into a Ziploc bag and crush them into small pieces. You can do this with a rolling pin. In a full-size bowl, add the marshmallow fluff, cream cheese and a few drops of food coloring. Mix the ingredients until well combined. 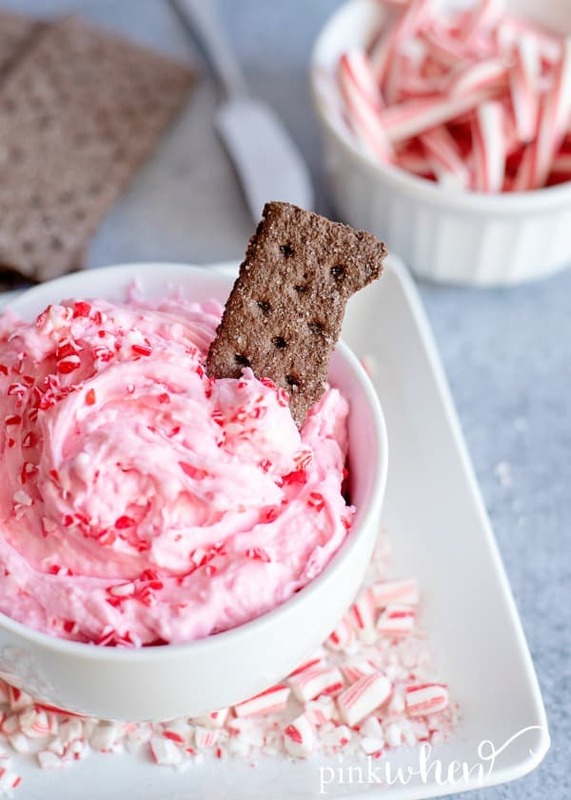 Dip with graham crackers or pretzels!